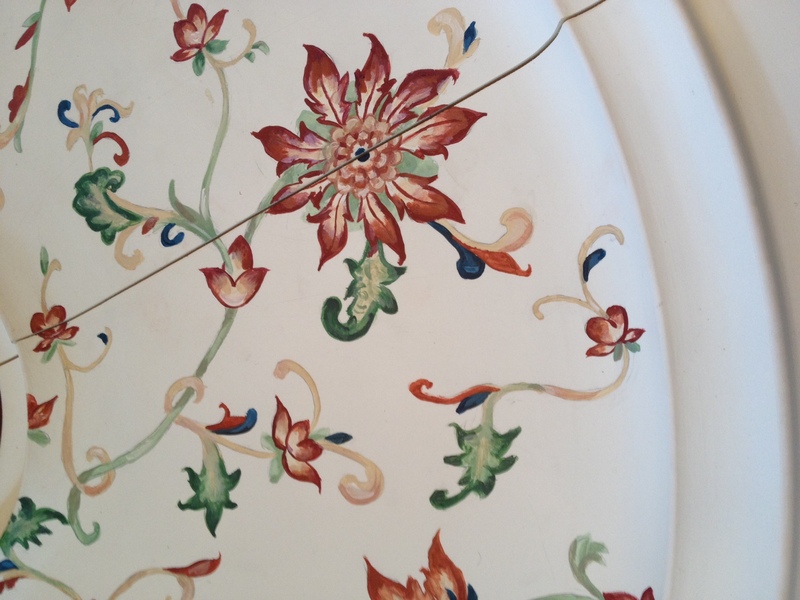 Sylvia from Philadelphia sent us great images of her completed ceiling medallion project. 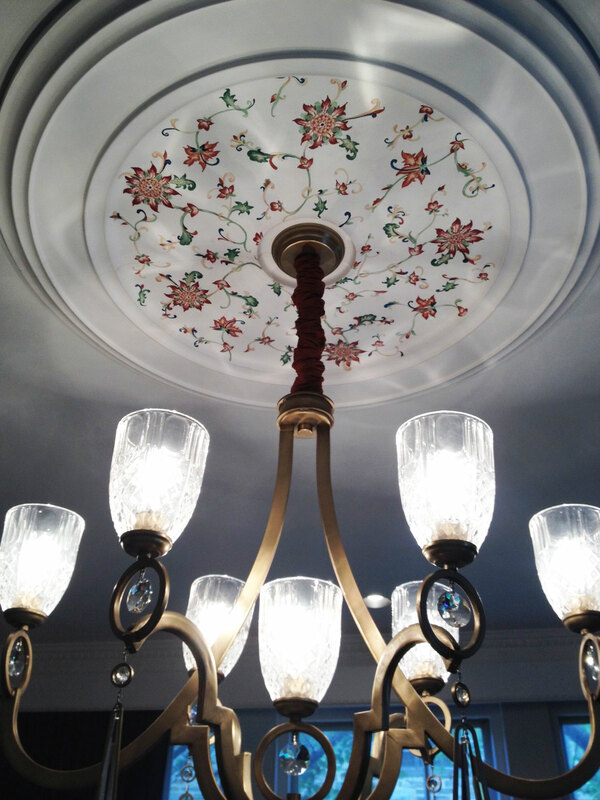 She created a wonderful flower design on one of our classic ceiling medallions and used it to complement her chandelier. 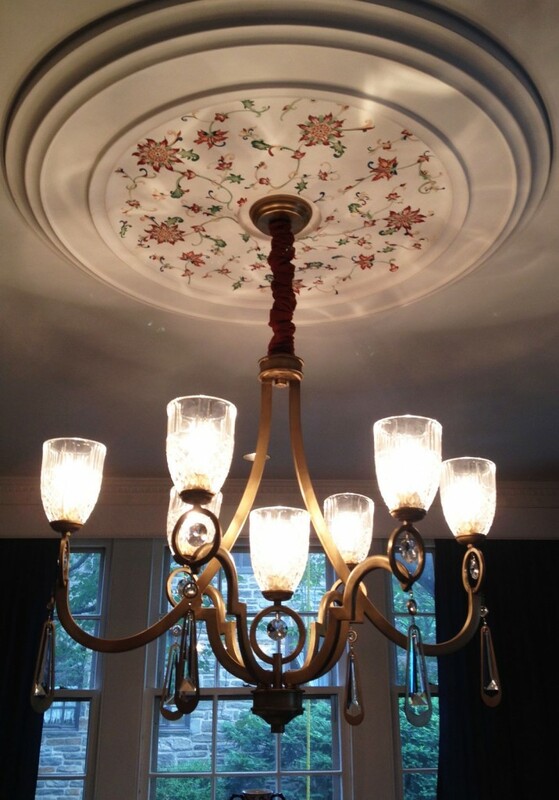 Click on the links below to check out the classic ceiling medallion Sylvia used and the other plethora of medallions we offer!